In a perfect world, no one would ever have to deal with scams. No one would have to question whether or not something is going wrong with the purchase that they are making. Unfortunately, we are living in a world where scammers are everywhere. That’s why you need to be vigilant when you are buying anything related to technology. This includes options that you may find for car diagnostics and more. If you do not stay vigilant, you could buy something that is going to either be illegal, or simply not working right. When it comes to finding the best OBD2 Scanner you are going to need to avoid the following simple scams. These are hidden in plain sight, and could very well give you a false sense of security. Do not fall for them, especially if you’re trying to save money. This is only going to cost you more down the line, so consider these things carefully moving forward. The first thing that you need to look for is simple, universal compatibility. This is a big no-no. There are no scanners today that can diagnose every single make and model out there. Unfortunately, most have a lot of different options, but all of them? Nope. There are no scanners that are on the market today that can truly say that they work with every software, and very make and model. There are a lot of buyers that think they can just buy a $9.99 app or something that updates their scanner to get working. That’s not the case. You’re going to find that you need to look for options that are fitting to your make and model vehicle, simple as that. Do not purchase anything that claims that all models are supported. Not every country adopted OBD-II compatibility at the exact same time, so you may not be able to find scanners for yours so easily. It’s that simple. Don’t spend money on a universal scanner, you’ll lose out. 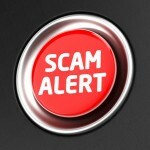 Here’s one of the most common scams that you will find when you’re trying to purchase the best OBD2 Scanner. You’re going to find that many sellers will tell you that you can change, reset, and scale back airbags, odometers, and much more. They’ll say that you can have control over all your systems, with as little as $15. That’s not true at all. Anyone that says you can control all of the elements within your car with a scanner is lying. That’s not what diagnostics are meant for, and if they were, you’d find a lot more crooked used car salesman trying to peel back mileage off of the odometer. There’s a reason why this simply read the diagnostic elements, and not completely changes the permissions and issues within the car. There are a lot of people that are buying into the notion that you just need files, not a scanner. A scanner is nice, but what about the updates? Well, that requires multiple discs, or downloads, right? Well, not always. 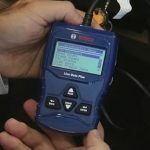 If you’re going to look for a good OBD2 Scanner, and someone is saying that you need to purchase multiple elements of software in order to get the “right” update, beware. This only gives you the perception of value, which is not good at all. Hundreds of files are available for free, but people pack them together on a disc and sell them as if they were something great. The problem with these discs, and updates, especially those that are free online is that you are going to have to deal with out dated materials. It’s very difficult to deal with outdated elements, because you will pay for something that outright doesn’t work. Of course, the scammers are not going to tell you this. They are going to tell you that you can use them and end up with a great solution moving forward. They are not going to admit that the software and files that they are selling you are in fact available for free throughout the internet. If you were to look for OBD software online, and use the keywords “free” and “download”, you will find a lot of them available for you. The problem, again, is that they are not up to date, and you will no doubt see a huge drop off. Another trick of the trade that scammers pull is in regards to generics. They will not give you a name brand, they’ll just say that it’s “like” or “similar” to another brand. But when you ask them what brand they are trying to sell you, they are not going to give you a name. When you do get a name, and you do a little searching online, you will see that they don’t exist, or they have a bad reputation. A lot of people are figuring out that you can download OBD software and then put it into a palm pilot, attach a scanner, and then sell it for profit. People are gullible enough to buy these out right, and it’s not a working model. Always look for a name brand, so that you can review it online. If you don’t have a brand name, or anything that can provide you with further information, you’ll be scammed out of your money, simple as that. 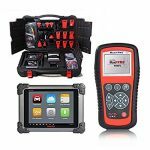 At the end of the day, the above are just a few things that you’ll need to look out for in regards to OBD2 Scanner scams that are online. Don’t go cheap. Always take your time and focus on the best rated, best reviewed, solutions. Scammers aren’t going to be selling high quality options or offering warranties with their products. 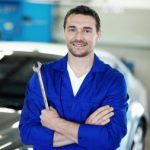 That’s where you should start your quest, looking for warranties, and well-reviewed solutions that have a reputation for working well with modern vehicles. Otherwise, you’re going to be spending money on something that is out dated, or will not work with your specific make and model. Spot scams by using the above tips, and trust your instincts. 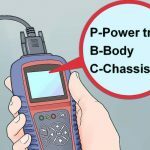 What Does an OBD2 Scanner Actually Do? I paid for my scanner and feel that I have been scammed as this is the last email I got from Focal. And since then they have not returned any of my emails to let me know when I will be receiving my goods. Sorry for bring you the inconvenience, how about the version we send the image for you? Please contact vendor from whom it was purchased.